Are you looking for the perfect destination for a business event? Ireland features state-of-the-art infrastructure, hosts renowned for their warmth and hospitality, and a culture that prizes the art of communication. And of course, a very nice view! Go West Conference Management will take care of all the practical arrangements of your upcoming association conference management requirements. Our vast experience and knowledge will ensure your conference runs smoothly and efficiently. Go Wests dedicated team are on hand to ensure your conference runs smoothly from bid proposal through to execution. 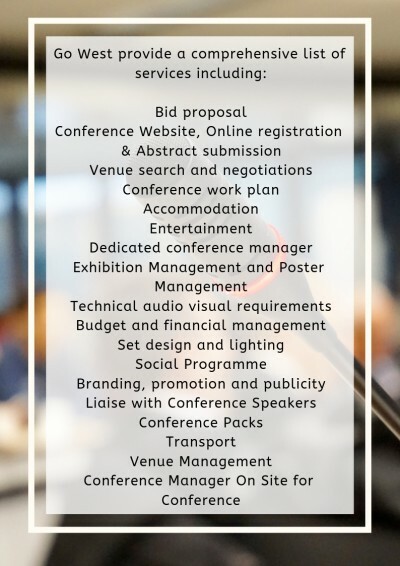 The conference management team have experience in managing VIP’s, speakers, delegates, exhibitors and sponsors for a range of conference sizes. We work with your local organising committee to ensure all delegate enquiries, accommodation bookings, social excursions and field trips are planned flawlessly. Go West looked after all aspects of Conference administration from brochure design and print, website development, online registration to co-ordinating all of our Speakers and Exhibitors for Cuisle Beatha conferences. They managed the conference budget, reducing our costs and introducing efficient systems. Go West were onsite to oversee the set up and operation of the actual conference and to manage registration. 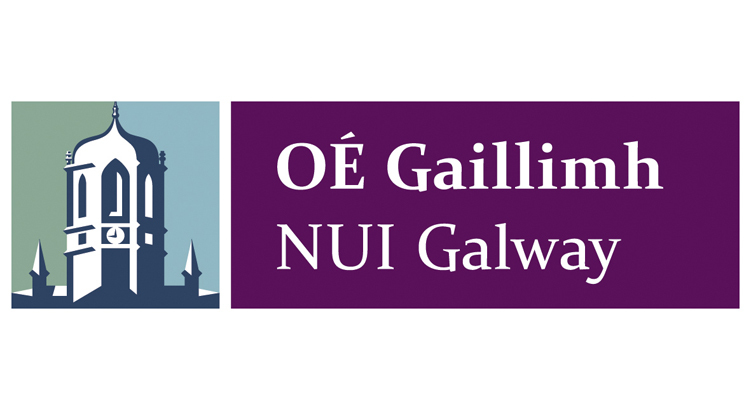 I have no hesitation in recommending Go West as an invaluable resource to all conference organisers in terms of expertise, service, support, value for money and understanding the requirements of a scientific conference.